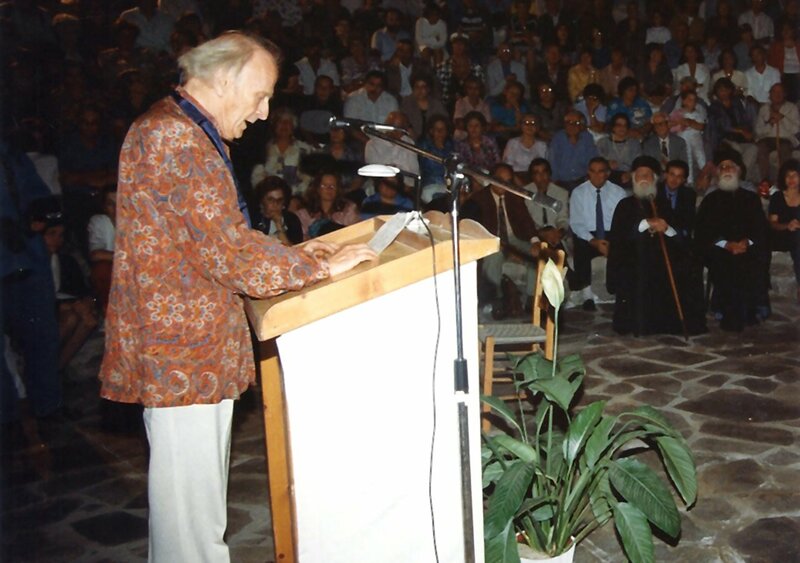 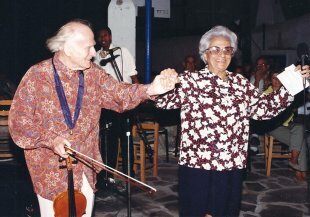 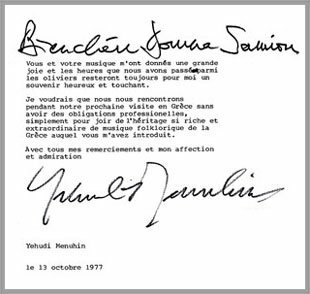 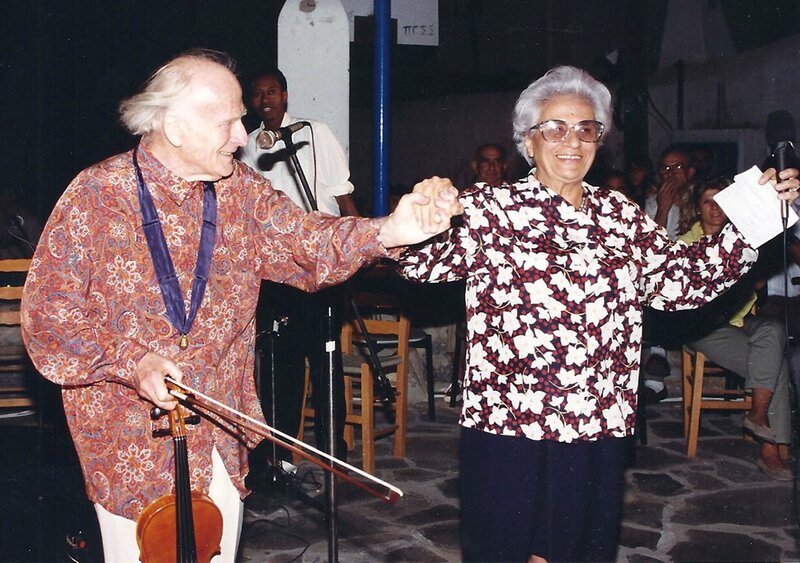 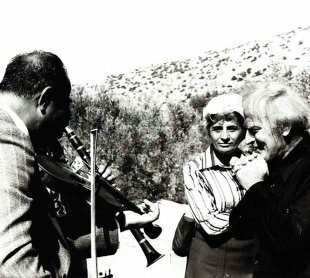 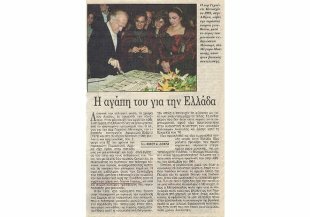 The great violinist and conductor Yehudi Menuhin's first acquaintance with Domna and Greek folk music was made in 1977. 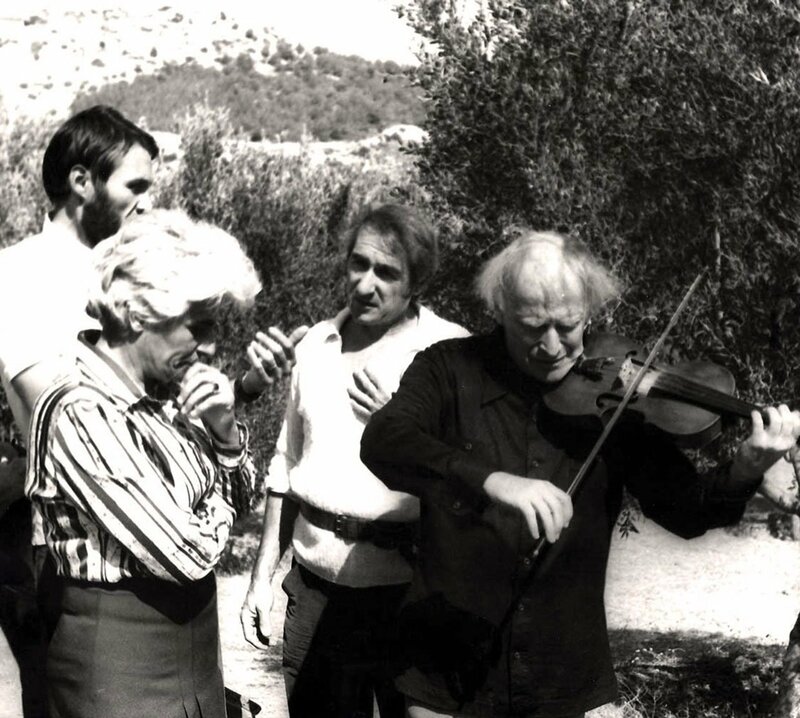 The great violinist and conductor Yehudi Menuhin's first acquaintance with Domna and Greek folk music was made in 1977. 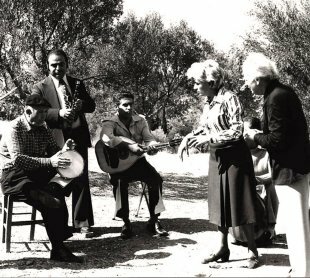 It was then that traditional songs were filmed for broadcast by French television on the Le Grand Échiquier program, (Antenne 2), in Kaisariani, near the Kaisariani Monastery. 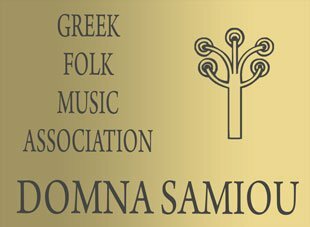 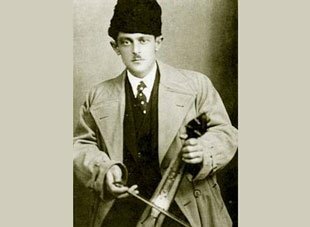 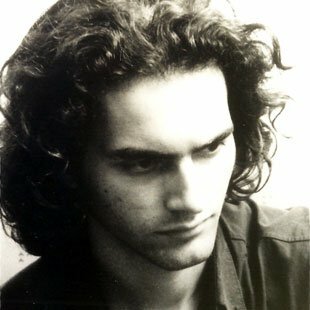 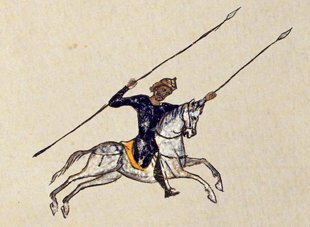 "He had been greatly charmed by the kanun, and that is why he stood over Stefanidis, and marveled at him playing," recalls Domna Samiou. 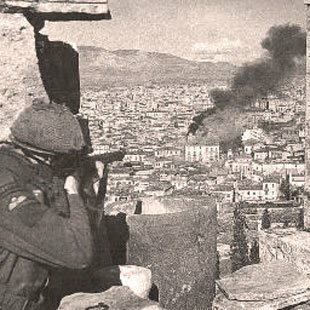 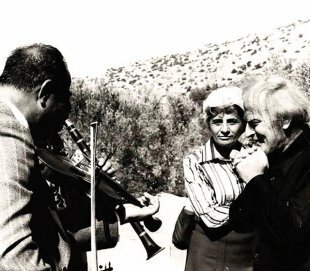 The video where Menuhin on violin accompanies Domna in the Constantinopolitan tune "Farewell Holy One", which is the rare snapshot of this meeting. 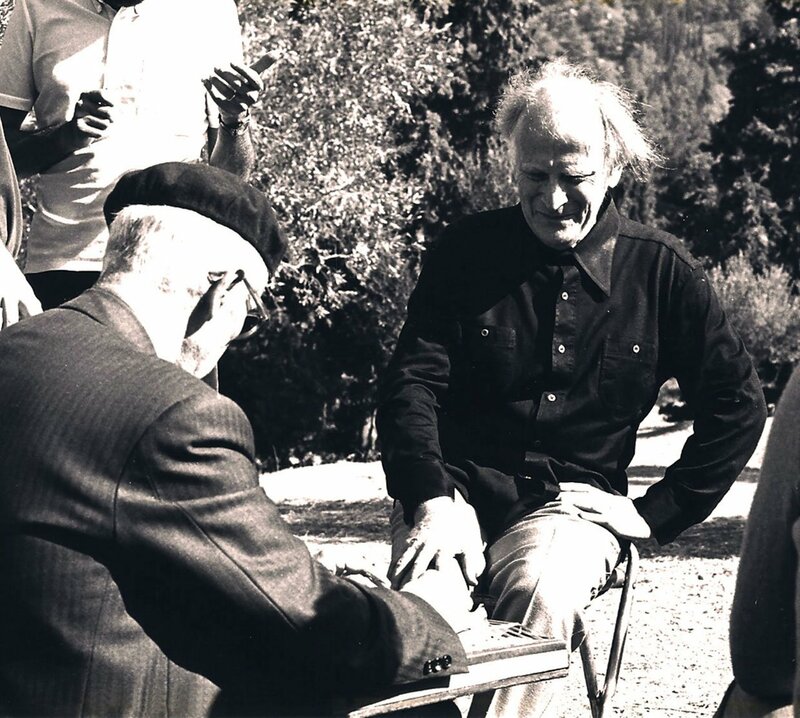 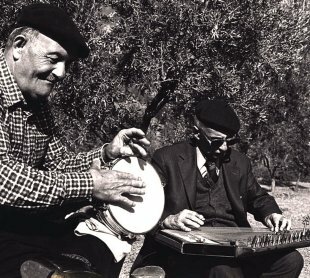 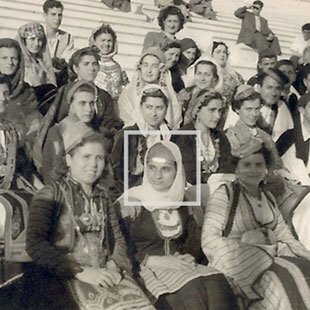 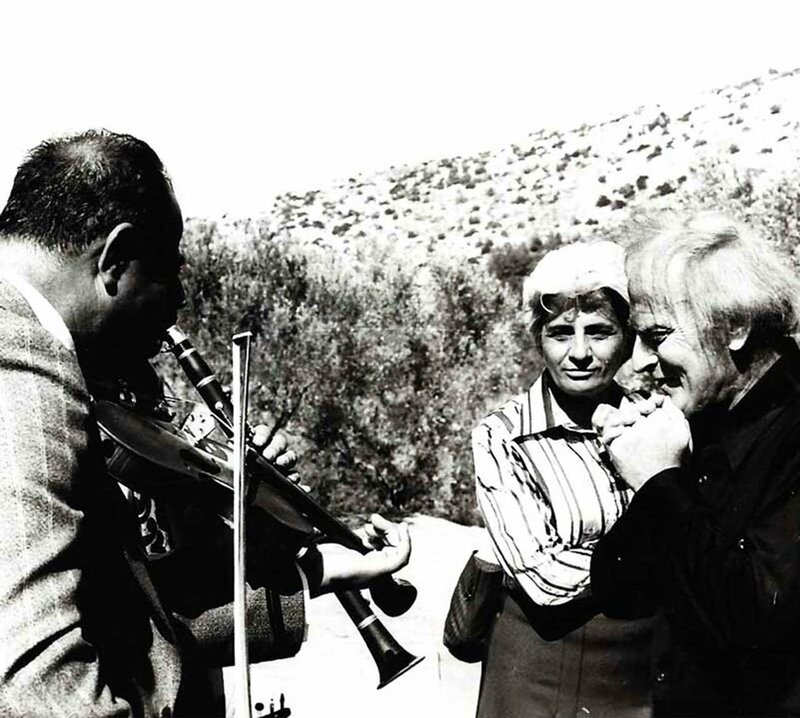 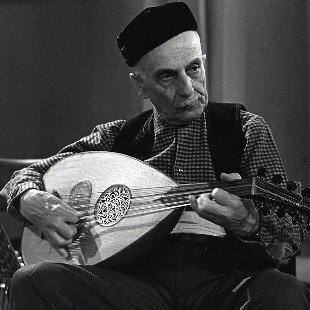 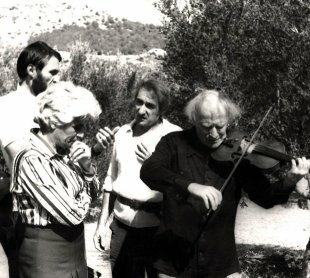 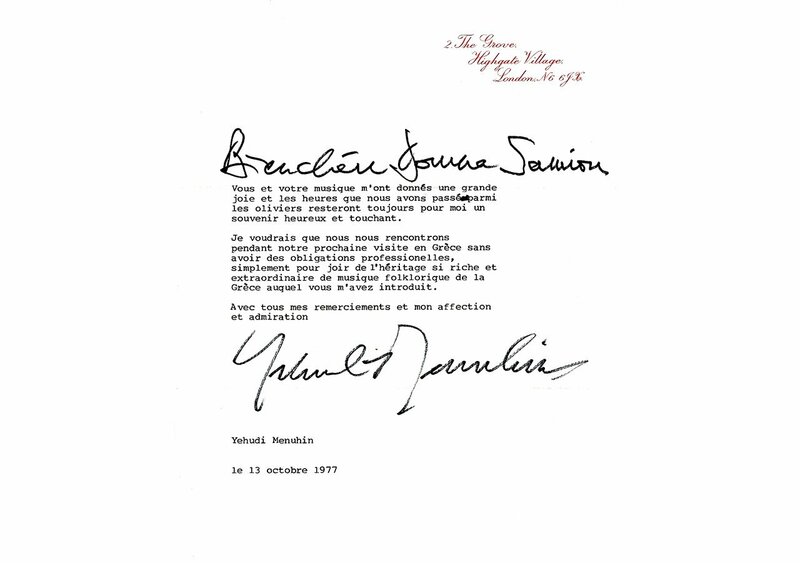 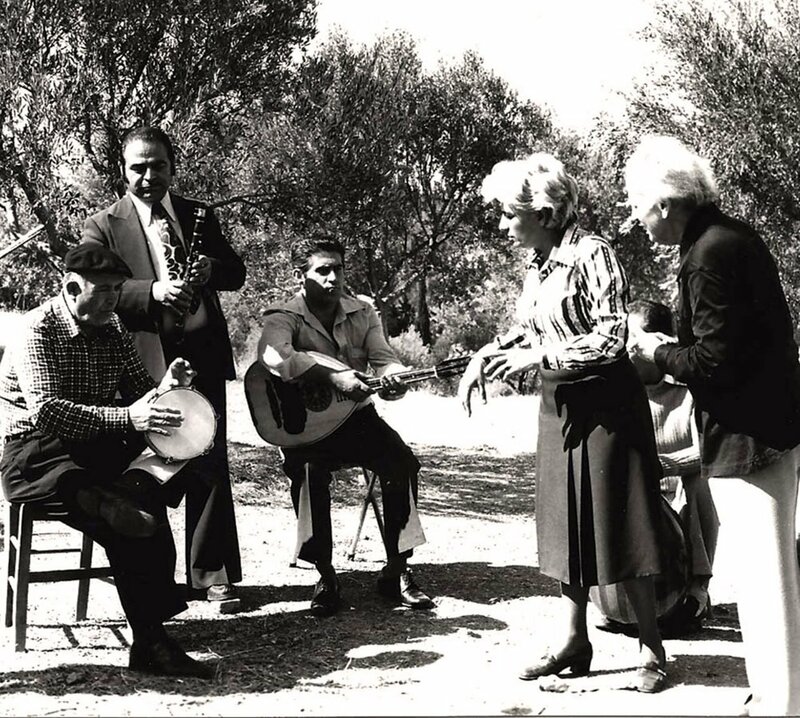 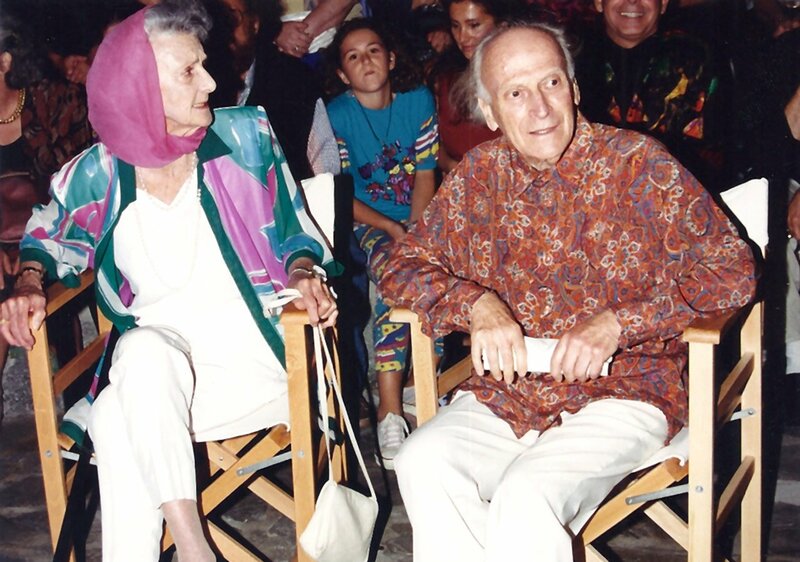 From the shoot of the French TV show "Le Grand Échiquier"
A few days after the shoot, Menuhin wrote her: "The moments we spent among the olive trees will always remain for me a joyous and heartwarming memory" and, "you have made known to me the brilliant and rich heritage of Greek traditional music". 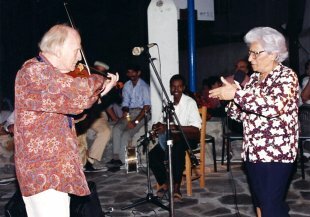 Menuhin was a fond admirer of Greek nature and the Aegean. In 1993, the Mykonos municipality declared him and his wife Diana honorary citizens. 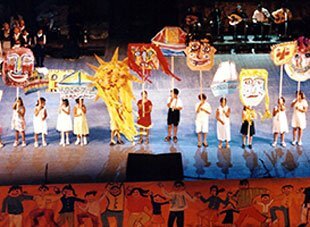 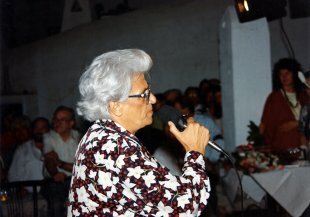 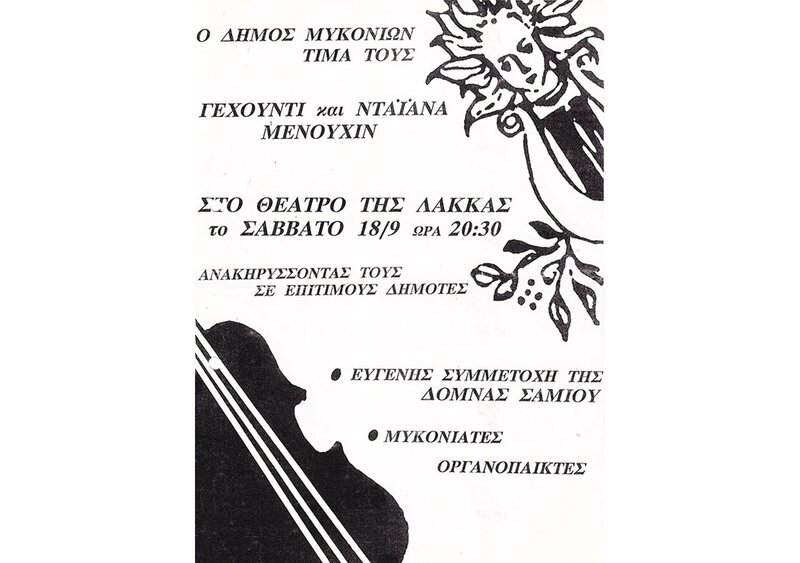 In the concert that followed the ceremony, in the Lakka Theatre, Domna Samiou presented a musical program with songs from Mykonos and other regions, accompanied by Socrates Sinopoulos, Vassilis Giannisis and local musicians. 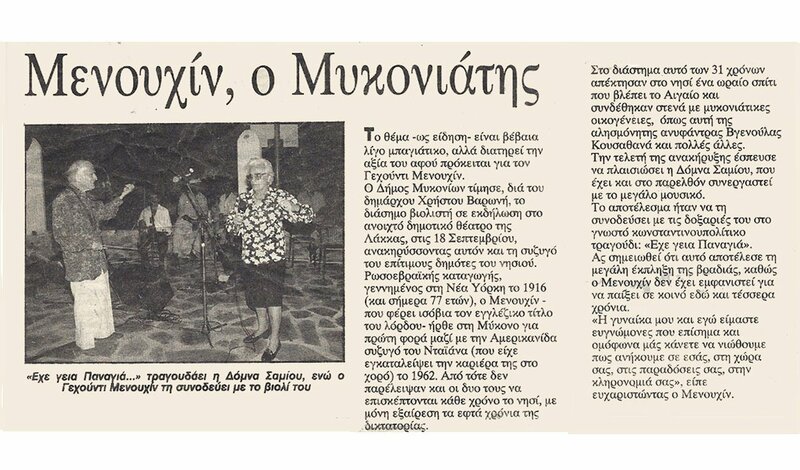 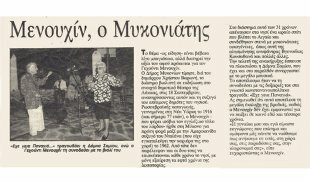 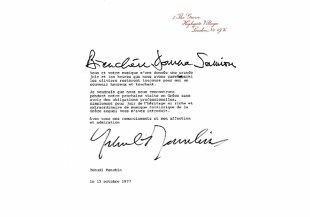 Declaration of Yehudi and Diana Menuhin as honorary citizens of the Municipality of Mykonos.